Find this book at Amazon.com | buch7.de | eurobuch.com | buchhandel.de | books.google.com ASIN=1904658261, Category: Philosophy, Language: E, cover: HC, pages: 176, year: 1985(2005). 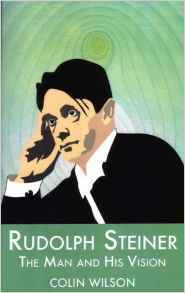 Of all the important thinkers of the twentieth century, Rudolf Steiner (1861-1925) is perhaps the most difficult to come to grips with. For the unprepared reader, his work presents a series of formidable obstacles, from the dauntingly abstract style to the often bizarre pronouncements on the nature of man and his cosmic destiny. And yet Steiner was perhaps the most influential and charismatic occult philosopher of his generation; and the movement he launched, Anthroposophy, with its educational, agricultural, and artistic applications, still has many thousands of followers worldwide. No one interested in esoteric thought can ignore Steiner, but until now there has been no genuinely accessible introduction to his ideas.